ClassX proundly introduces you to the easiest way to handle a LIVE sports match. Available either as a stand-alone Application or an Application to be launched from your LiveBoard, it already contains all templates and the different game logics that you will need to start right away. Add the Players, their pictures and all information you want to manage, add all extra contents in the Extra tab and manage your match directly by triggering lower thirds, timers and statistics. ClassX SportsGraphics Stand Alone is used to manage a single LIVE match. No extra software needed. 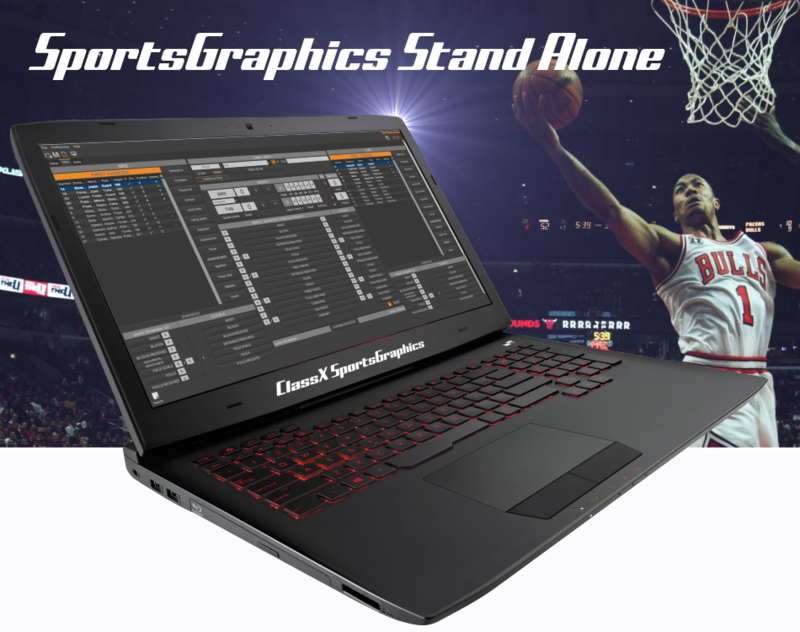 The great thing of SportsGraphics Stand Alone is that you can install it in one workstation as an independent software. All templates are included; you won't have to bother creating the graphics templates because ClassX takes care it! SportsGraphics Stand Alone supports over 20 kinds of sports: Basket, Volleyball, Beach Volley, Soccer, Beach Soccer, Futsal, Cricket, Hockey, Ice Hockey, Handball, Tennis, Ping Pong, Rugby, Football, Baseball, Boxing, KickBoxing, Biliard, Pool Biliard, Motocross, Waterpolo, Cycling, Gokart. In the Setup tab, add the Players, their pictures and all players' and teams' information you want to manage. Add all extra contents and manage the external files in the Extra tab. In the Main tab, you will control your match directly and put the desired graphics on air by simply pressing the dedicated buttons such as timers, statistics, etc. ClassX SportsGraphics is used to manage a single LIVE match. The great thing of SportsGraphics with LiveBoard is that you have the graphics output preview of LiveBoard and you may manage and modify the LiveBoard plugins used by SportsGraphics such as the LiveTimer. Last but not least, you may add all the extra graphics that you wish, e.g. screen capture, ticker, slide show, chart etc. 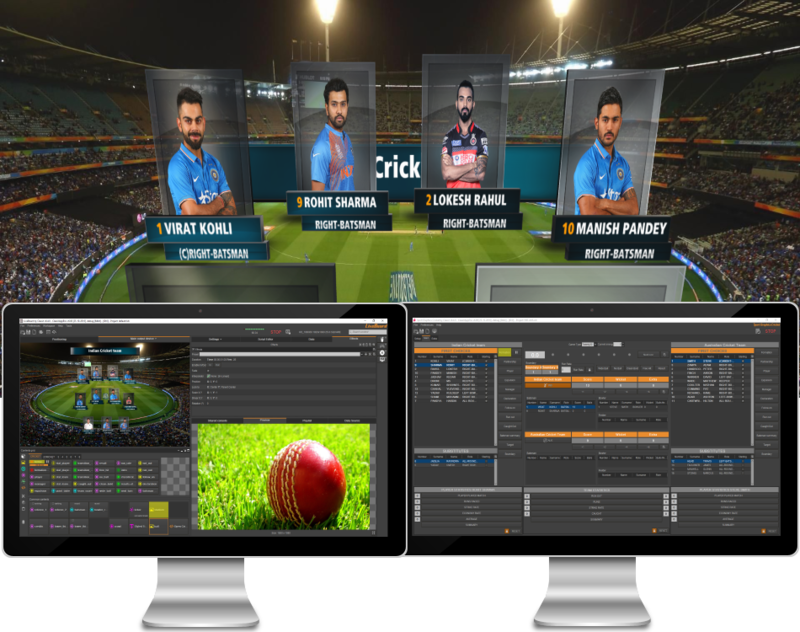 SportsGraphics is dependent on LiveBoard, it means that you will have your SportsGraphics App and LiveBoard in the same workstation. SportsGraphics supports over 20 kinds of sports: Basket, Volleyball, Beach Volley, Soccer, Beach Soccer, Futsal, Cricket, Hockey, Ice Hockey, Handball, Tennis, Ping Pong, Rugby, Football, Baseball, Boxing, KickBoxing, Biliard, Pool Biliard, Motocross, Waterpolo, Cycling, Gokart. You can choose to use the provided ClassX default templates or to create a personalized LiveBoard project with your custom graphics. For creating your templates with our Template Editors, you may follow the dedicated SportsGraphics Template Guide, that you will find in your ClassX distribution. LiveStadium is used to manage several soccer LIVE matches at the same time. It needs LiveBoard to put on air the graphics. LiveStadium loads the Leagues created previously in a dedicated application and goal by goal during the matches, the operator updates the new information in the LiveStadium interface. The updated information will generate the data that will be associated automatically to the dedicated graphics templates. In LiveStadium you will find the league, player info, formation modules and all timer settings for each match. The great thing of LiveStadium is that you have the overview of all necessary information in one window, easily update these during the matches and send on air the desired graphics LIVE from the same interface. 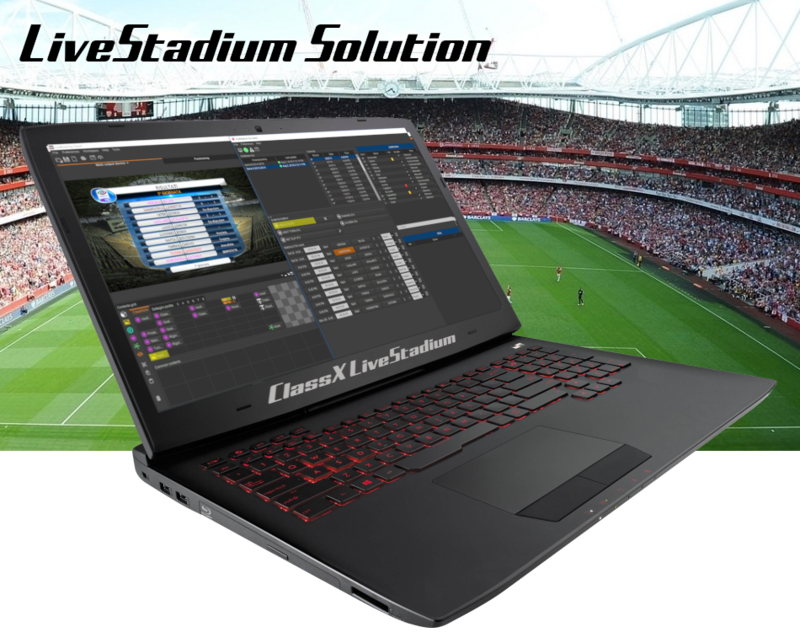 LiveStadium is dependent on LiveBoard, it means that you will have LiveStadium and LiveBoard in the same workstation. LiveBoard is also useful because it has a Preview tab to see what you want to put on air and the Main Output Device tab showing what is being played out live.